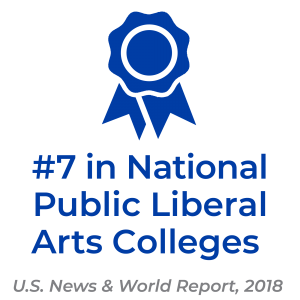 UNC Asheville ranks seventh in the nation among public liberal arts colleges. 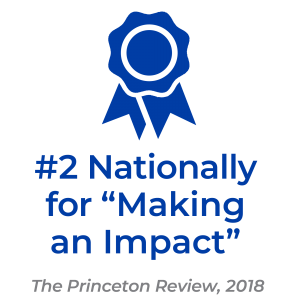 U.S. News & World Report also listed UNC Asheville’s Undergraduate Research/Creative Projects Program, and the university’s Department of Management & Accountancy as among the nation’s best. UNC Asheville also is included in the U.S. News “A+ Schools for B Students” list which recognizes schools that seek and admit a broad and engaged student body, and where spirit and hard work, individuality and seriousness of purpose are valued by the admissions office. 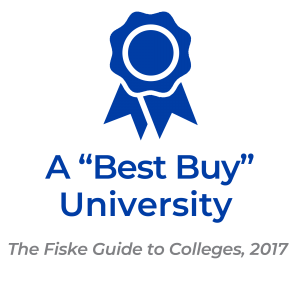 – U.S. News & World Report’s “2018 Best Colleges” (September 2017).